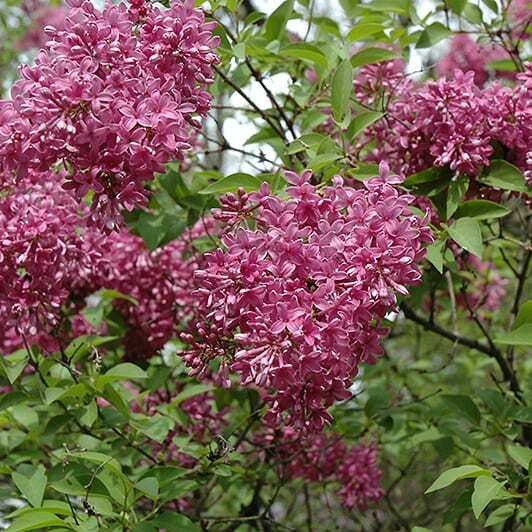 The fragrant purple flowers appear in mid-May. Small leaves and minimal suckering make it a more refined plant than the common lilac. The blooms perform poorly as cut flowers.